The Wednesday evening summer event returns. 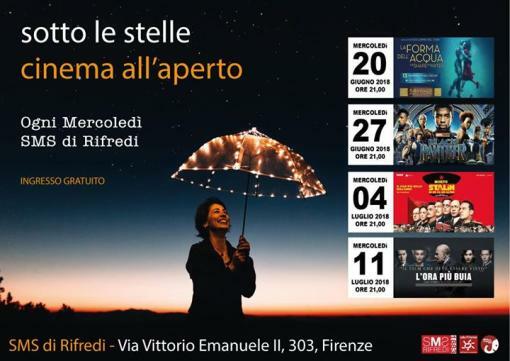 Sms Di Rifredi Udu Florence University Left Middle Students Network Florence are happy to offer you a new edition of your neighborhood outdoor cinema. SIX EVENING AND YOU ARE TOTALLY FREE FILMS !! We are waiting for you every Wednesday at 21:00 at Sms Di Rifredi, in via Vittorio Emanuele n. 303.